So, you might want to invest in a wetsuit and a snorkel because a flood of Neptunian proportions is coming. For the first time in several months, Neptune is the player of the week. Now for those of you that are not in the astrological know, Neptune rules idealisms, dreams, and the collective creative flow, but it can also reflect deceptions, dishonest behavior, and self-destructive tendencies – and with Jupiter, Neptune’s ruler, being in Sagittarius, the biggest form of deception may be the lies we tell ourselves. You see, Sagittarius is about potentials and possibilities, and the energy of Sagittarius season can be childlike with deeply held beliefs regarding the way life should be. This can lead to problems because to win at life; you must come down to earth and live in the real world. In the Big Book of Alcoholics Anonymous, there is a profound quote that is worth mentioning: “My serenity is inversely proportional to my expectations.” (pg. 452) I find this quote revealing because a frequent theme in my consultations involve unrealistic expectations and the hurt and disappointment that my clients feel when things do not turn out the way they imagined it would, which is what happens when Neptune’s energy is dominate. Idealized expectations can be a toxic poison, especially in relationships. It strips our partners of their individuality, and they become projections of our expectations, and when real life encroaches – and it always does – we are left bitter and disillusioned because our life doesn’t turn out the way we expect it. Be on guard this week for unrealistic expectations. If you find yourself upset, hurt, or disappointed in others, check to see if you developed expectations that may be based in fantasy rather than reality. Often feeling the deepest level of truth can lead you towards the happiness you deserve, but it also means allowing people to be who they are meant to be themselves. The Moon moves through the last degrees of fair and balanced Libra and forms an opposition with Uranus. Someone else’s selfish behaviors may rile you up and make you tense and anxious. Try to keep from allowing others to steal your happiness and joy. The Moon moves into Scorpio during the afternoon hours and forms a lovely conjunction to Venus. This evening is great to spend with a romantic partner or simply doing things that give you pleasure. The Moon continues to move through Scorpio throughout the day and forms only positive aspects – a sextile to Saturn, a trine to Mars, and a trine to Neptune. Tuesday is great for business activities and putting together strategy plans. If you do creative work, the afternoon hours are when you will shine. Overall, this is one of the best days of the week, cosmically speaking. On Wednesday, the Sun in Sagittarius will form a challenging square to Neptune in Pisces. You may feel that you have little energy and are overwhelmed by circumstances in your life right now. This could leave you feeling low on energy, and your self-confidence may be at an all-time low. Avoid taking on more than you can handle because you will have little power to achieve the results you desire. A positive way to deal with Sun square Neptune is to do creative based or spiritually related activities. Maybe go to a movie, enjoy some good music, or a couple of meditation sessions could help relieve some of the Neptunian muddle and put you in a better mindset to tackle the rest of the of the week. Good News! Mercury goes direct on Thursday in Scorpio. So, all the things that you have put off until Mercury went direct, you can begin after 4:22 PM EST. Mercury in Scorpio is about digging beneath the surface and getting to the root of the matter. It’s great for detective work, research, and solving problems that need a dash of intuitive finesse. Additionally, Mercury in Scorpio gives you the ability to understand the motives and intentions of those around you. Mercury remains in the sign of the scorpion until December 12, 2018. During the early morning hours, we have a New Moon in Sagittarius. Sagittarius New Moons are great for goal setting, and this is a great time to look at what you would like to achieve in 2019. The only hiccup is the New Moon in square to Neptune, which can often cloud matters. The way to manage this is to make sure your goals are realistic and achievable, even if you need to break them up into smaller blocks that motivate you to take on more until you achieve your goals intended results. Also, on Friday, Mars conjoins Neptune in Pisces. Like earlier in the week when the Sun squared Neptune, this combination of planets makes us feel worn out, and as a result, we become easily discouraged and irritable. Do not plan anything of importance on Friday, if you can avoid it. A productive use of Mars conjunct Neptune is to do something positive for others. This will help uplift your spirit and break any negative emotions you may be feeling. Not to mention, ‘tis the season. The Moon spends the weekend in responsible Capricorn. Capricorn Moon’s are great for anything that requires focus, concentration, or a bit of extra effort. On Saturday, the Moon forms a lovely sextile to Venus, which is great for relationships. Spend some time with your significant other, perhaps a night on the town or even a movie will bring the two of you emotionally closer together. If you have creative tasks that need to get done before the holidays, Sunday would be a great time to get them done and out of the way. 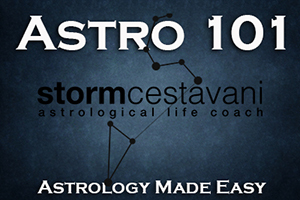 This entry was posted in astrology and tagged astrology, cosmicweather, horoscope, mars conjunct neptune, mercury direct, Mercury retrograde, new moon in sagittarius, sun square neptune, Zodiac on December 1, 2018 by Storm Cestavani.